Nett Nutrition will prepare appropriate label formats for your specific food product packaging. 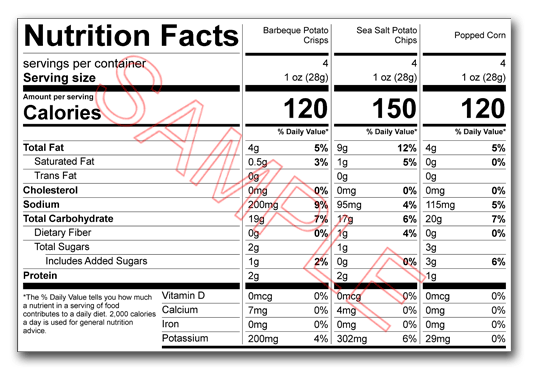 The most common of the food labels, the Standard Nutrition Facts Label can be modified based on your product specifications. 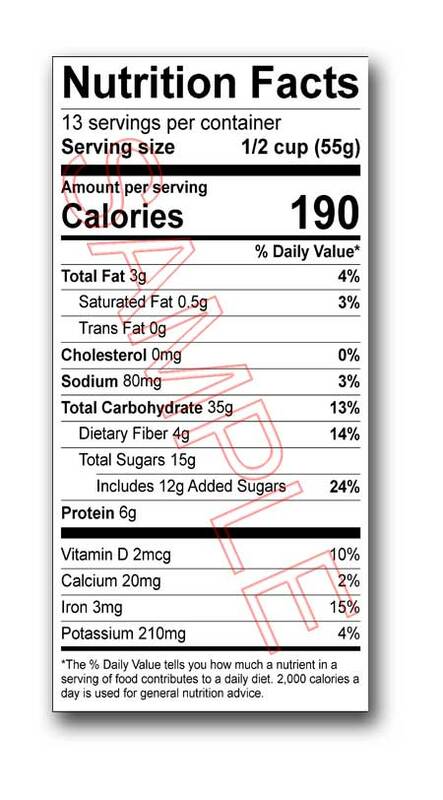 When display space on product packaging is limited, Tabular and Linear Nutrition Facts Labels are acceptable Nutrition Facts options. The Aggregate Nutrition Facts Label is selected when individual items are packaged together, such as variety packs of breakfast cereals. 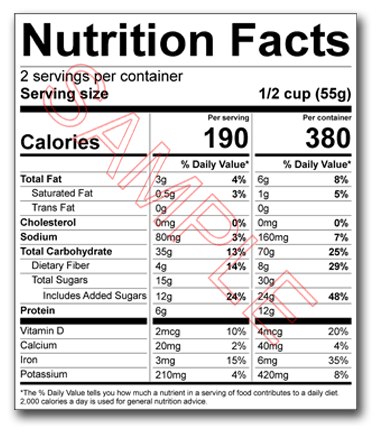 Each item can be listed in a separate Nutrition Facts Label or in one Aggregate format.